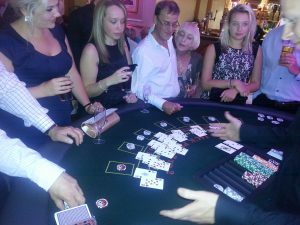 Our fun casino tables are in huge demand throughout the North West for all kinds of events. They are especially popular for Christmas party nights. 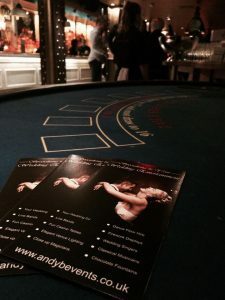 They are also really popular for private parties, for example if a company is throwing it’s annual Christmas party, they are great as some peripheral entertainment, especially to keep the non-dancers entertained! Or, email your enquiry to andy@andybevents.co.uk along with the event date, venue details, type of event & approx. number of guests for a tailored quote.